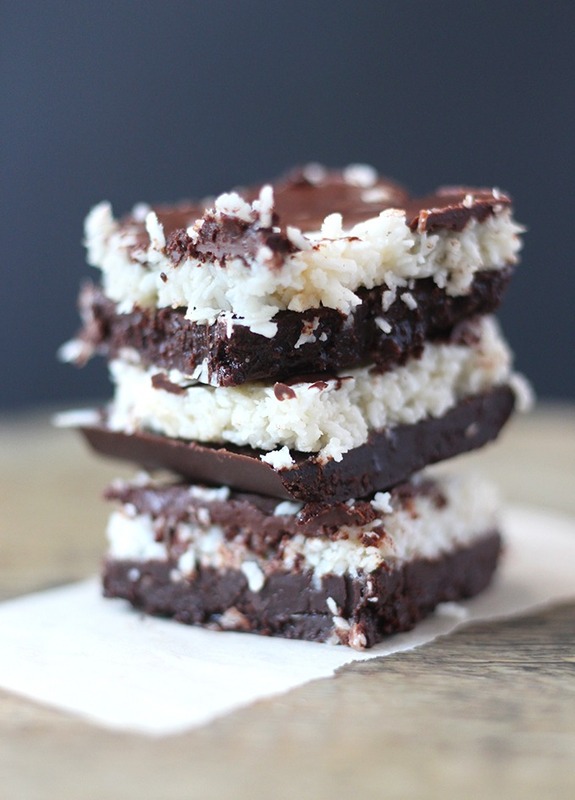 These Coconut Chocolate Fudge Bars are a decadent treat packed with healthy fats! Vegan, gluten free and paleo friendly! Once the chocolate drizzle has hardened, it's ready!